The NFC and AFC Championship games on Sunday were jam-packed with excitement, controversy, and overtimes. The Rams fell behind 13-0 in the first quarter, but came back strong and, thanks to a blown call by the referees in the final minutes of regulation time, were able to tie up the game and head to overtime. In overtime, the Saints QB Drew Brees threw an interception which allowed the Rams Greg Zuerlein to kick a 57-yard field goal for the win. All anyone can talk about though is the missed call at 1:45 left in the 4th quarter where Nickell Robey-Coleman was not called for pass interference on Tommlee Lewis. Saints’ Coach Sean Payton said the NFL’s head of officials admitted to him the Referees “Blew the Call”. 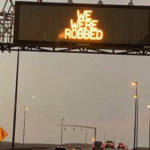 Social media is going crazy with some congratulating the refs on their victory over the Saints and hashtags such as #theywererobbed, #someonecallthepolice, and #inept. The Patriots came out to strong in the first half, but the Chiefs, thanks to QB Patrick Mahomes, rallied back to set up an exciting and close 4th quarter. The Patriots won the toss in overtime, which made all the difference in the game. Tom Brady drove the team downfield and scored, but the with the rules of overtime, the Chiefs’ offense never even got on the field. Game over. Fans are complaining that the rules of overtime in the playoffs need to be changed. In a classy gesture after the game, 41-year-old Tom Brady (who will be heading to the Super Bowl for the 9th time) asked a security guard if he could share a few private moments to speak with 23-year-old Mahomes. The New England Patriots and the Los Angeles Rams will play for the Championship at the Super Bowl in Atlanta on February 3rd.